​Hi, my name is Juan Angel Mendoza Gonzales. I was born on August 20, 2014 and I am 4-years-old. I live in a room with my mother. My great aunts and my great uncle also live in the same house. 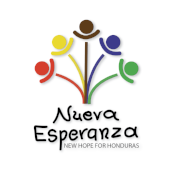 My mom got a raise at her job last year after I was enrolled at Nueva Esperanza! She works very hard to provide for me. My great aunt also helps us financially. I love to play with toy cars, ride bicycles, put together puzzles, and play with playdough. My favorite colors are black, green, and blue. Juan Angel needs a $30 or $60 a month sponsor.